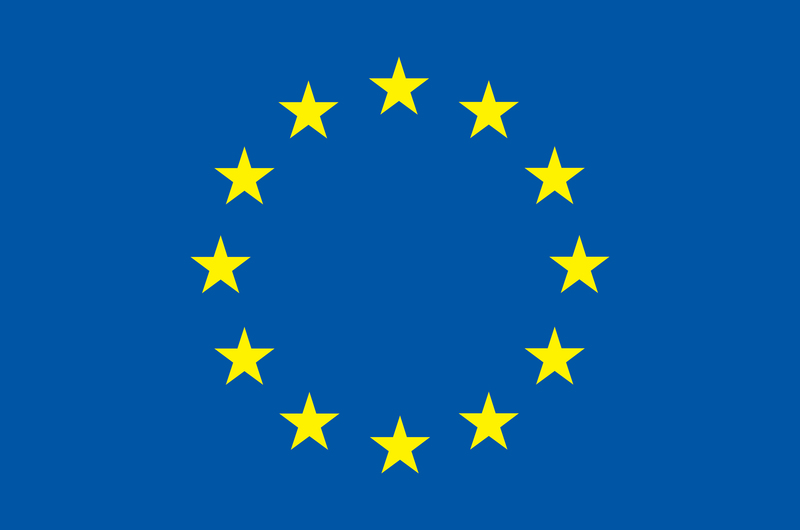 DESIRE is an FP7 funded project (Grant Agreement no: 602531), involving 25 partners in 11 countries, with eight third parties, a total of 2166 person months, with more than 250 researchers involved and 19 clinical centres involved in the clinical trial. 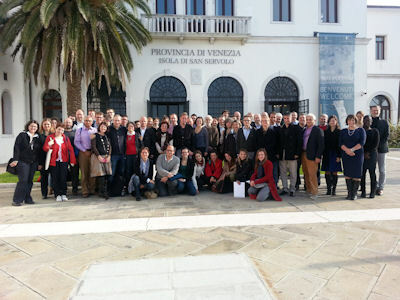 It is co-ordinated by Prof. Renzo Guerrini, Dipartimento di Neuroscienze, Area del Farmaco e Salute del Bambino (NEUROFARBA) Universita degli Studi di Firenze, Italy. DESIRE will focus on epileptogenic developmental disorders EDD, i.e. 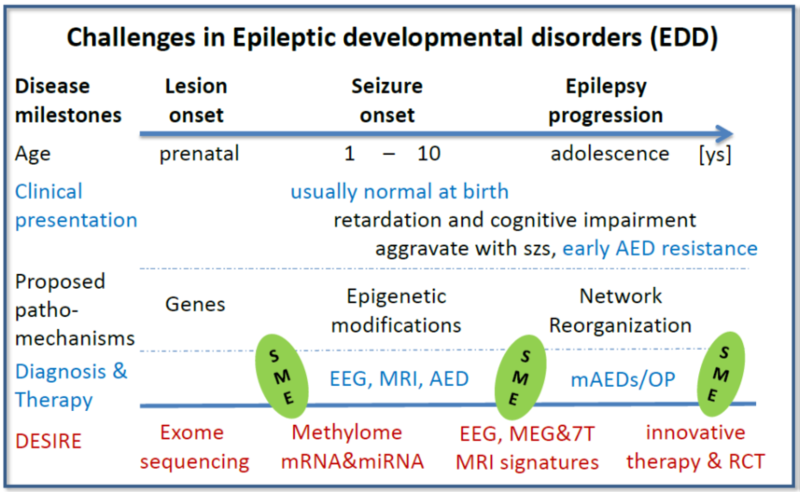 early onset epilepsies whose origin is closely related to developmental brain processes. A major cause of EDD are malformations of cortical development (MCD), either macroscopic or subtle. EDD are often manifested as epileptic encephalopathies (EE), i.e. conditions in which epileptic activity itself may contribute to severe cognitive and behavioral impairments. EDD are the most frequent drug-resistant pediatric epilepsies carrying a lifelong perspective of disability and reduced quality of life. Although EDD collectively represent a major medical and socio-economic burden, their molecular diagnosis, pathogenic mechanisms (PM) and rationale treatment are poorly understood. the genetic and epigenetic causes and PM of EDD, particularly epileptogenic MCD, to elucidate molecular networks and disrupted protein complexes and search for common bases for these apparently heterogeneous disorders. the diagnostic tools (biomarkers) and protocols through the study of a unique and well-characterized cohort of children to provide standardized diagnosis for patient stratification and research across Europe. treatment of EDD using randomized, multidisciplinary clinical protocols and testing preclinical strategies in experimental models to also address novel preventative strategies. The workplan spans from clinical observation, to whole exome studies, cellular and animal models and basic research, identification of biomarkers and improvement of diagnostic methods, and back to the clinical trials and assessment of innovative, targeted treatment strategies. The consortium partners have an outstanding track record in genetics, basic neurophysiology, neuropathology and clinical research. Specialized expertise will be made available by the SMEs involved to develop novel diagnostic tools for tailored treatment approaches. For more information please contact Prof. Janet Mifsud, Department of Clinical Pharmacology and Therapeutics, University of Malta, member of the WP7, Dissemination and Exploitation.